Monday Poll: Now That All Three Have Been Announced – Galaxy Nexus, Rezound, or RAZR? A number of readers have been asking, so we decided to do it one last time. With all three of Verizon’s mega-phones receiving official announcements, it’s time to do the poll prior to them all hitting store shelves (hopefully they all do). You were all asked back in early October if the Galaxy Nexus was going to be your phone no matter what. Almost 60% of you were willing to say “yes” at that time, prior to it even being announced. Now that the RAZR and Rezound are also on the way – and possibly a couple of weeks before the G-Nex – has your mind changed at all? Tell us which phone will be your next. 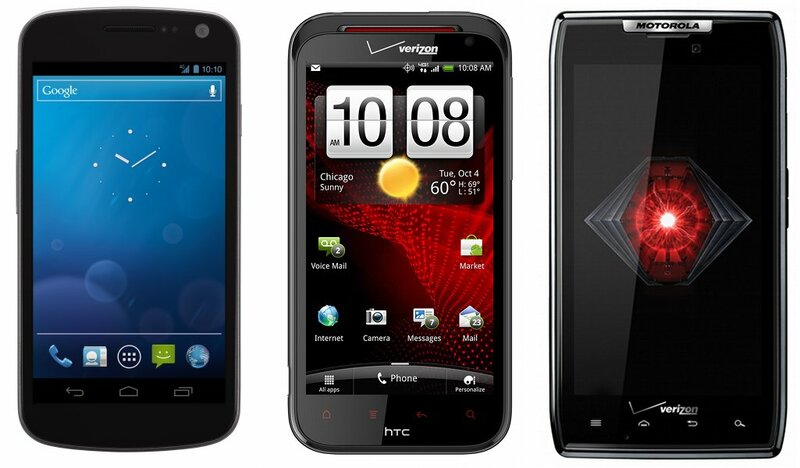 Since all three phones are official, which are you choosing: Galaxy Nexus, Rezound, or DROID RAZR?